And while the beginning of the year is a time to celebrate football, it’s also a great time to get organized and start fresh when it comes to your home and DIY projects. A couple of weeks ago I finally tackled my master closet and gave it a HUGE facelift! Starting out the year fresh with a big project off my list and having a corner of my life more organized gave me a huge bump in motivation to tackle some more projects. It’s so easy to just shove everything in a closet or hide things your bathroom drawers, and pretend the mess doesn’t exist. But if you’re like me, simply hiding all that clutter will eventually drive you mad! By clearing out spaces like your mudroom, laundry room, or hall closet, you can simplify your life and reduce the stress of not being able to find things! If you want to get organized and cross some more things off on your to-do list, check out these awesome closet and small space makeovers and tutorials and prepare to be inspired! What’s one big project that you want to cross off your to-do list this year? Oooooo, tons of great ideas here my friend! Thanks! I just love organizing 🙂 Have a fab weekend friend! These are all so great! Thanks for including my link! Wow! I need to bookmark this page and refer back to it often! Such great ideas. 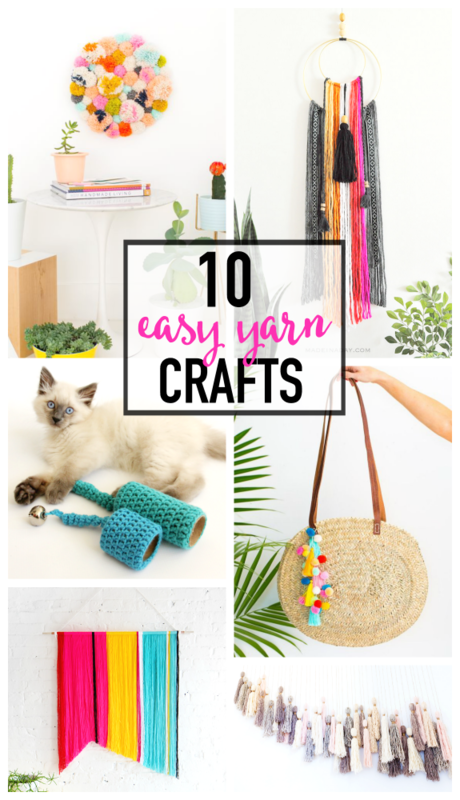 Thank you so much for including my little DIY, too! Thank you and you’re welcome! I just love organizing and all of these are such great ideas 🙂 Super useful!